POPULATION HEALTH SCIENCE formalizes an emerging discipline at the crossroads of social and medical sciences, demography, and economics-- an emerging approach to population studies that represents a seismic shift in how traditional health sciences measure and observe health events. 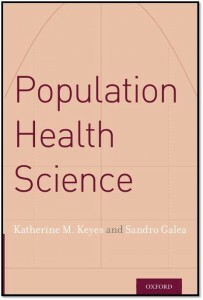 Bringing together theories and methods from diverse fields, this text provides grounding in the factors that shape population health. The overall approach is one of consequentialist science: designing creative studies that identify causal factors in health with multidisciplinary rigor. Harnessing the power of scientific inquiry and codifying the knowledge base for a burgeoning field, POPULATION HEALTH SCIENCE arms readers with tools to shift the curve of population health. Katherine M. Keyes, PhD, is Assistant Professor of Epidemiology at Columbia University. 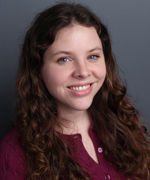 Her research focuses on life course epidemiology with particular attention to psychiatric disorders, including cross-generational cohort effects on substance use, mental health, and chronic disease. She has particular expertise in the development and application of novel epidemiological methods, and in the development of epidemiological theory to measure and elucidate the drivers of population health. 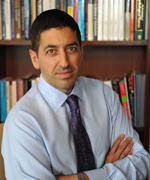 Sandro Galea, MD, DrPH, is the Robert A. Knox Professor and Dean at the Boston University School of Public Health and formerly the Chair of the Department of Epidemiology at Columbia University. His work focuses on the social production of health of urban populations, innovative cells-to- society approaches to population health, and advancing a consequentialist approach to epidemiology in the service of population health. He is a past president of the Society for Epidemiologic Research and an elected member of the Institute of Medicine of the National Academies of Science.